As a college student, you are excitedly looking forward to graduating and starting a fulfilling career thereafter. College is a time of self-discovery and more so towards your career life. However, the transition from college to a successful career is not an easy one. Besides being expected to conduct yourself as an adult, you are also expected to be professionally sound. 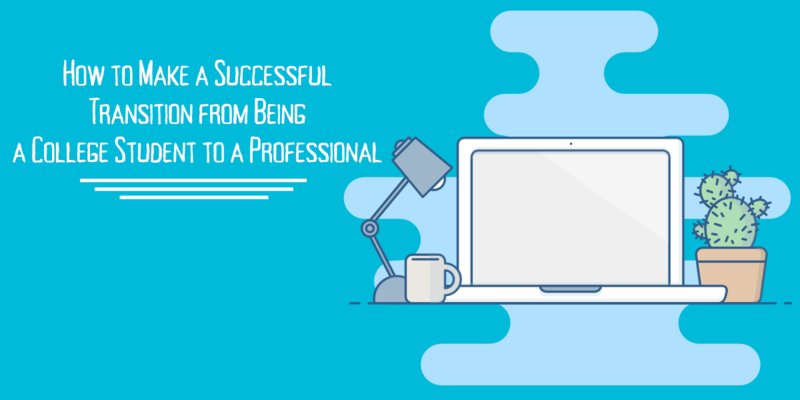 Here are a few tips to successfully transition into a professional after college. 1. Be proactive in seeking opportunities. A college certificate with shiny grades is not enough to land you your dream job. The competition in the job market is on serious high and you will need to be much more proactive in landing your first job. An early start while still in college as an intern or apprentice goes a long way in preparing you for the job market after graduation. The opportunities are not always advertised but by identifying companies and organizations you would want to work in, a visit to their offices is a step closer to getting your first job. Be on the lookout for such openings and entry-level positions. They may be paid opportunities or not but once given an opportunity, prove your worth and negotiate your terms of work. 2. Identify a professional mentor. Having a career mentor is important in getting you prepared for the job market. This mentor should be someone within your industry with more experience than you. They will guide you on professional ethics, opportunities and how to stand out from the crowd. In some instances, your mentor can help generate professional leads for you something which can propel you towards a fulfilling career in a short time span. Having graduated from college, you will need to restructure your life completely. For instance, you will need to drop your care-free college habits and adopt a more mature and responsible lifestyle. While it is okay to party every day in college, it is guaranteed to take a toll on your work or personal performance if you do so while building a career. Your lingo, dressing, time management skills will have to change to accommodate your 8-5 hours working time. Also, you should be engaging in networking events and other professional meetups. You will also need to make new friends with whom you can work together to build successful careers. Anticipating these changes makes it easier to implement once out of college. 4. Be ready to start from the bottom. However how optimistic you want to be, you may be forced to start as an entry-level employee even with decorated academic credentials. Sometimes, experience triumphs over academic excellence in the job market. Do not be discouraged by this but seize the opportunity to prove yourself and skills and work hard to grow from there. In the end, it will be more fulfilling looking at your progress from an entry-level staff to an executive. As a college student, you may not be professionally prepared especially for your first job. The transition can be a bit involving requiring some lifestyle adjustments and mentorship for you to fit perfectly in the job market. An early start goes a long way in making the transition more seamless and natural. Remember, college does not really prepare you for post graduate challenges. You will need to be creative and mentally prepared to survive the professional lifestyle after college.